Here at Quality Wood Products, Inc. we care about your church as much as you do, for twenty six years we have been renovating churches to beautify both the interior and exterior of these elegant buildings. As a company we are dedicated to quality and the satisfaction of our customers. 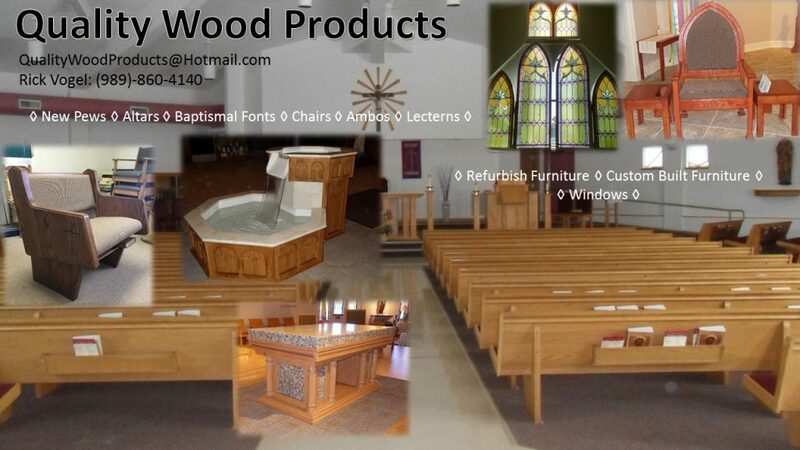 Our team at Quality Wood Products is widely experienced in the construction of baptismal fonts, altars, lecterns, ambos and presider chairs, as well as the service and refurbishment of church pews and existing church furniture. We specialize in refinishing and repairing all sanctuary furniture as well as custom orders for the building of all types of sanctuary furniture and new pew construction.